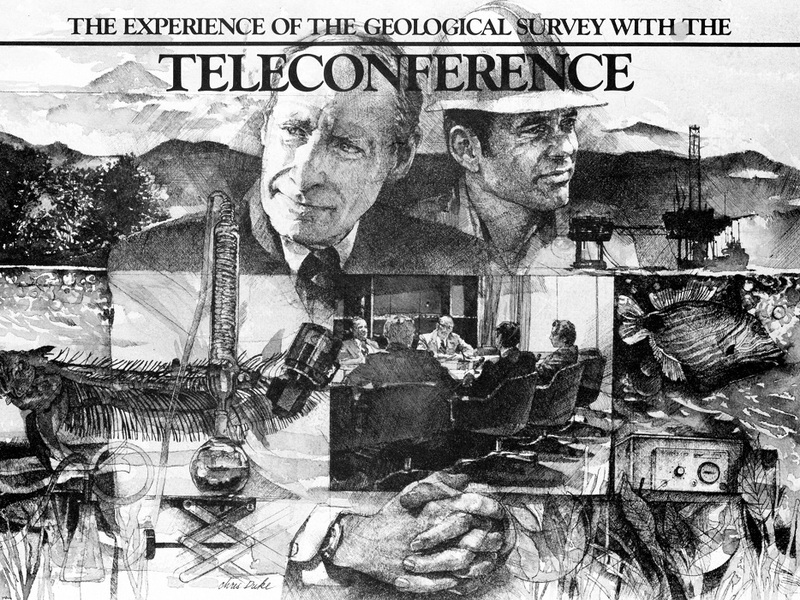 Though it doesn’t seem that long ago, I illustrated ads for Bell Telephone before the Bell monopoly was broken up, and back when newspapers were still printed solely in black and white. This is the only illustration in that series I still have. Brainstorming this piece was fascinating. Because the ad pertained to a geological survey, I incorporated a skeleton of a fish, mountains, and, of course, an oil rig. I had photographed the scientific instruments at the University of Michigan years before for a Ford Motors job. My sister, a U of M student at the time, took me on a fantastic photography expedition in the university laboratories. Though these particular instruments were already old technology, the art directors loved the look of them. I asked two very different neighbors to pose. Bill Maxwell is my suited businessman and Al Coonradt the telephone man in the hard hat. They were both favorite models when I lived in Millbrook, NY.